MANILADUBAI – Flying out of Dubai will soon become slightly more expensive, as the local government looks to raise funds through a departure tax. On March 30th the Crown Prince of Dubai Sheikh Hamdan bin Mohammed bin Rashid Al Maktoum approved a new departure tax of AED 35 (approx. USD 9.50) to be paid by anyone flying out of the emirate of Dubai after June 30th 2016. The tax is to be paid by every passenger on a flight from a local airport to a destination outside of the UAE, with the only exemptions being granted to cabin crew, children under the age of 2, and transit passengers who arrive and depart on the same flight. 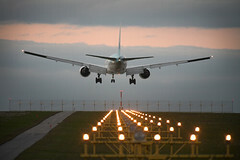 The new tax is to be collected by airlines, and will passed to the airports, who subsequently pass it on to tax authorities. The extra tax revenues arising from the tax are expected to be used to fund the expansion and improvement of the facilities, infrastructure, and capacity of the Dubai airport. Dubai Airport is currently regarded as the busiest airport in the world, and is estimated to handle approximately 6.5 million passengers per month.